This final volume of Vernon Louis Parrington's Pultzer Prize-winning study deals with the decay of romantic optimism. It shows that the cause of decay is attributed to three sources: stratifying of economics under the pressure of centralization; the rise of mechanistic science; and the emergence of a spirit of skepticism which, with teachings of the sciences and lessons of intellectuals, has resulted in the questioning of democratic ideals. Parrington presents the movement of liberalism from 1913 to 1917, and the reaction to it following World War I. He notes that liberals announced that democratic hopes had not been fulfilled; the Constitution was not a democratic instrument nor was it intended to be; and while Americans had professed to create a democracy, they had in fact created a plutocracy. Industrialization of America under the leadership of the middle class and the rise of critical attitudes towards the ideals and handiwork of that class are examined in great detail. 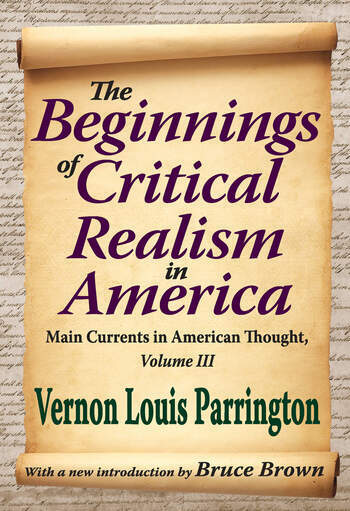 Parrington's interpretation of the literature during this time focuses on four divisions of development: the conquest of America by the middle class; the challenge of that overlordship by democratic agrarianism; the intellectual revolution brought about by science and the appropriation of science by the middle class; and the rise of detached criticism by younger intellectuals. A new introduction by Bruce Brown highlights Parrington's life and explains the importance of this volume.